It started out as just another harmless rap song from the group Allmo$t but before we know it, we all got infected by the ‘Dalagang Pilipina’ madness. 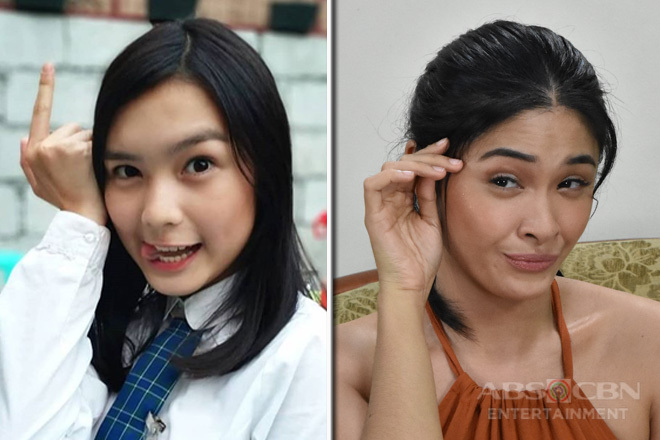 The craze was pioneered by a netizen nicknamed mimiyuuh who uploaded a video of himself bearing “pa-cute” facial expressions while the song ‘Dalaga’ plays in the background. Since then, the clamor for more ‘Dalagang Pilipina’ risk-takers has become louder that even celebrities gamely plunged into the fad. 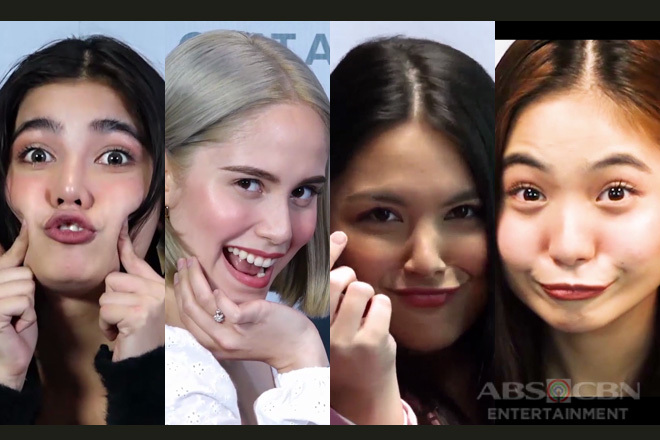 Several versions have already sprouted in social media ranging from the typical ‘Dalagang Pilipina’ timid mannerisms to wacky poses and until the most hilarious facial distortions. 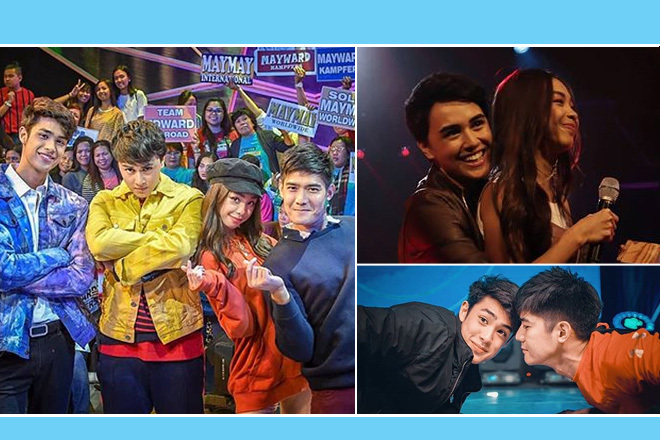 The stars from our favorite Kapamilya shows give in to the tempting novelty trend and prove that there is no better way of doing it than gathering around the camera as a group while on break from a hectic taping day – the more, the merrier, right? 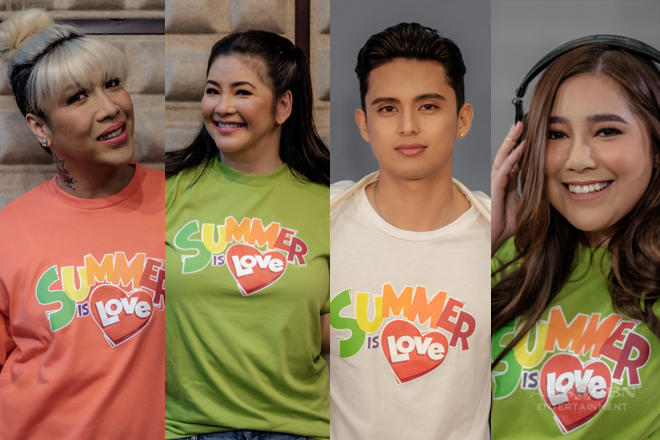 It is no surprising that the It's Showtime family tried their hand in the 'Dalagang Pilipina' mania as they have always been known to be among the firsts to explore fresh materials for the sake of fun and entertainment. After all, fun and spontaneity run in their blood. Tapping several “madlang people” and celebrity guests to join them has added more to the excitement. 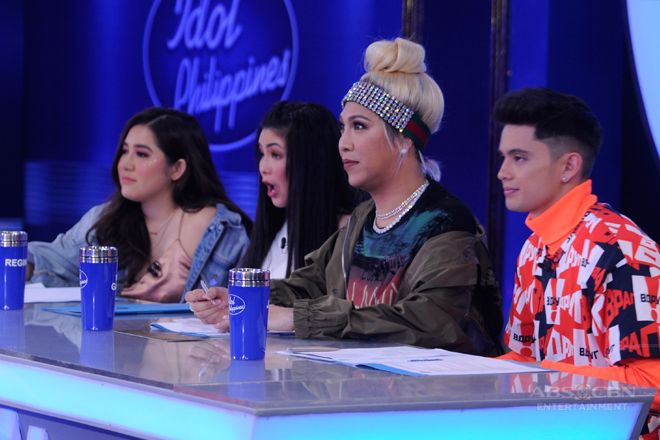 The song may be talking about the attributes of a “dalaga” but there is no stopping the Magandang Buhay hosts – Karla Estrada, Jolina Magdangal, and Melai Cantiveros – from doing their own 'Dalagang Pilipina' momshie edition. The Home Sweetie Home squad takes their comic sides to a higher level by making the craze more hilarious with their exaggerated mannerisms. Their 'Dalagang Pilipina' entry was created by comedians Rufa Mae Quinto, Jobert Austria, and Nonong Ballinan. Joining them are actress Miles Ocampo and child star Jordan Lim who infused the video with overflowing cuteness. In her caption, Rufa Mae says making fun acts together is indeed their off-screen habit. 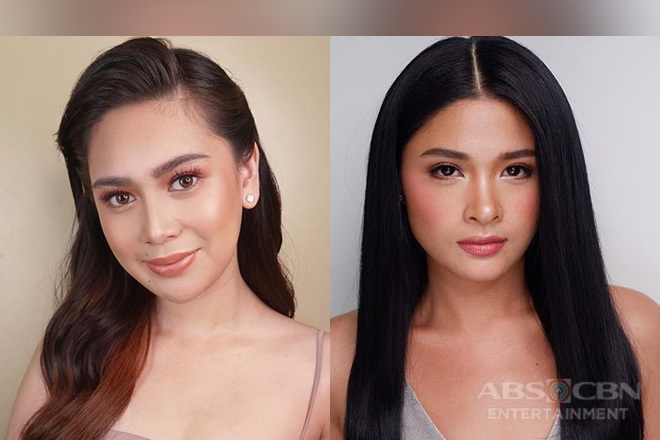 Even the cast of Kapamilya drama series take a quick break from their intense scenes to jump into the ‘Dlaagang Pilipina’ bandwagon. 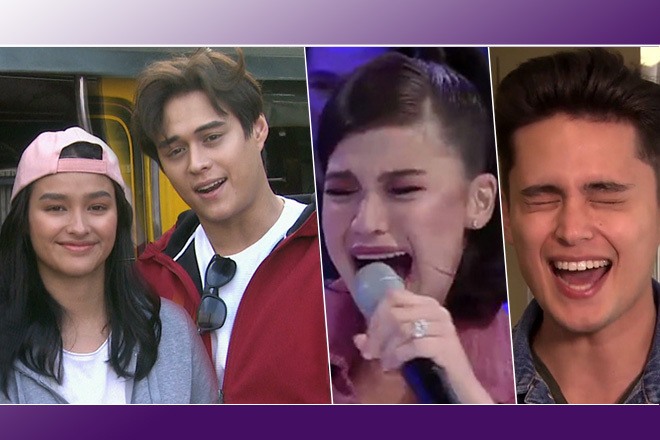 Youngsters Francine Diaz, Kat Galang, and Adrian Lindayag upload their own Kadenang Ginto version as well. The townsmen of Sto. Nino start in their new posts as helpers at the Malacanang palace but they decided to showcase their comedic chops first before keeping themselves busy in their chores. The FPJ’s Ang Probinsyano team's ‘Dalagang Pilipina’ interpretation is a blend of both “pabebe” and humor. Even veteran actress Daria Ramirez joins in the fun, too. 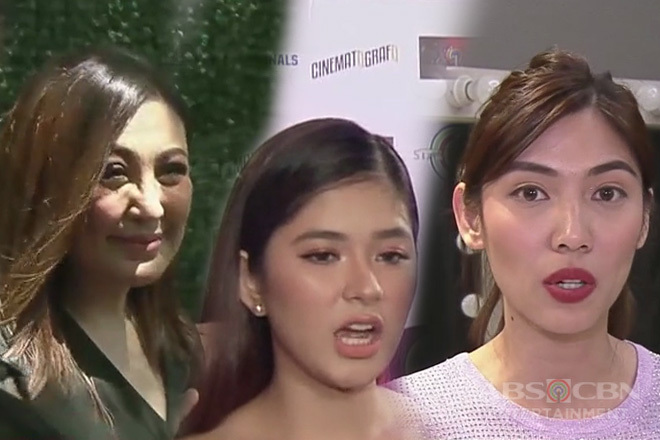 Yam Concepcion and Nina Dolino came up on center stage as the ultimate representatives of Team Halik. 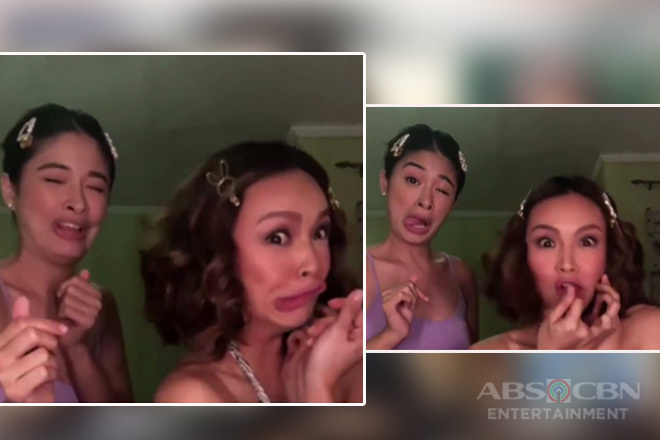 The sissies' version of the viral challenge is no ordinary as they warp their faces in truly hilarious way. facial exercise 101 real time feat. Sissy @nina.dolino #dalagangpilipinachallenge we challenge @jerichorosalesofficial and @samuelmilby binatang pilipino naman! 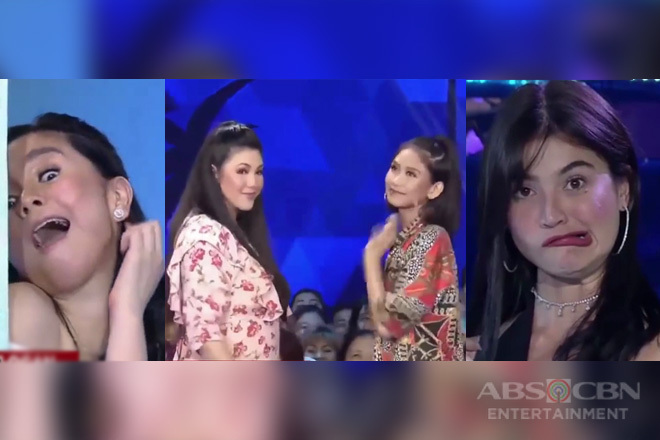 It seems that the ‘Dalagang Pilipina’ madness will live longer than we imagined and this makes us want to see more Kapamilya artists dive into the funs. Who do you want to see taking on the challenge next?